When it comes to PDF, Adobe Acrobat reader comes to most of the people’s mind, but you should know the fact that the free edition of Adobe Acrobat is limited to reading pdf files only. If you need to edit PDF documents, then you will have to pay $299 to get Adobe Acrobat Document Cloud. What if I give you the same thing for just $100 or even less? 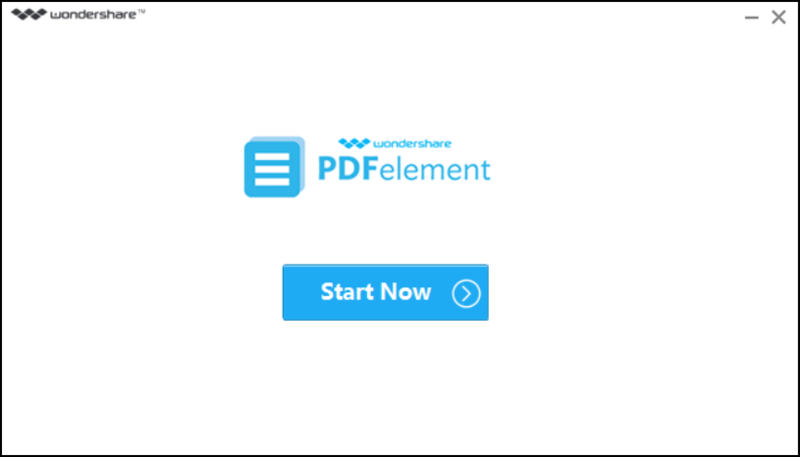 Definitely you will like to have a go and so does you will love PDFelement, the complete PDF editing software by Wondershare. 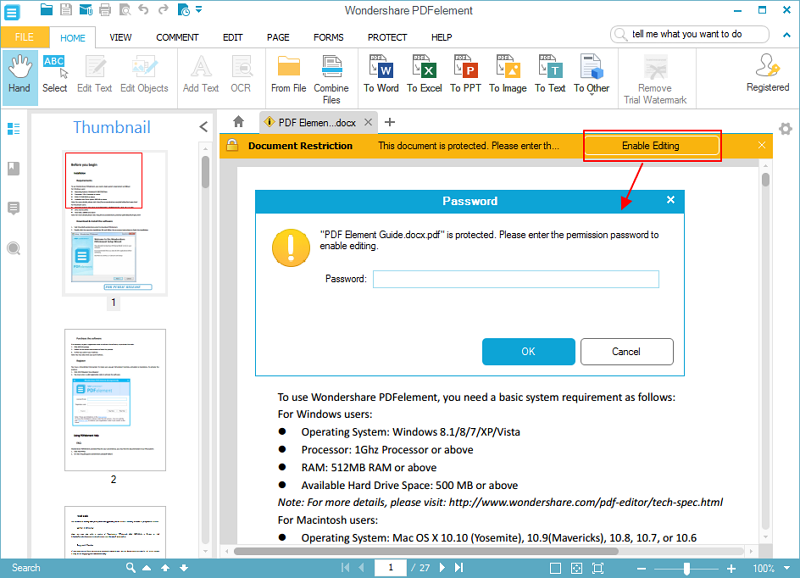 Wondershare has made PDFelement available for both Windows and Mac platforms. It’s a traditional PDF software meeting all your basic as well as advance needs. We will be going through highlighting features of PDFelement – what it can do, what it can’t and full verdict on it. Creating a PDF means converting your existing file [Word, PowerPoint slide or excel sheet] in PDF format. A couple of years back, it was a very difficult job, but not anymore as all the PDF softwares does include this feature. 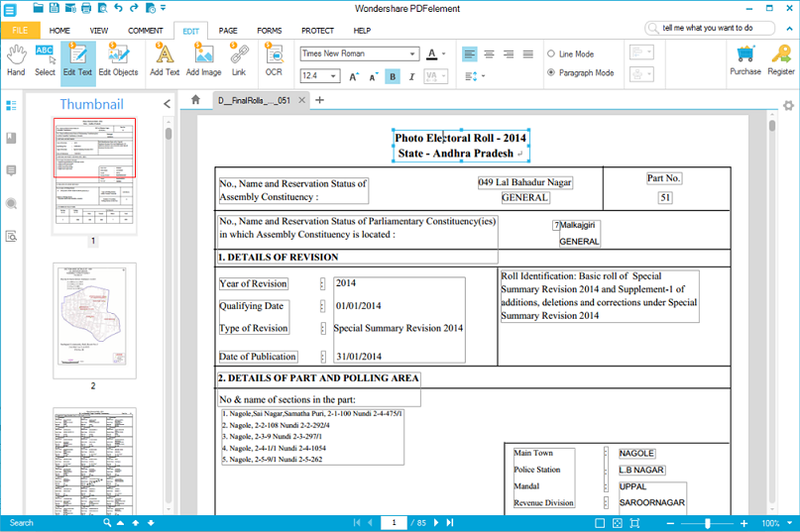 PDFelement does include this feature and here in this example I have converted a Word document to PDF. It supports conversion from DOC, DOCX, XLS, XLSX, PNG, JPG, PPT and PPTX. Editing with PDFelement is made very easy. Once you open the document, you just need to click on the Edit tab from the top and all the editing elements like text, objects, OCR, URLs are now available for editing. Once your editing is done, you can password protect them with permission of editing, printing and modification or even change the password of the PDF file. Open the PDF files using the software. Go to Protect option from menu bar to get submenu options. Do you have a lot of PDFs with single slide? Ofcourse combining all them into a single PDF file will make your task easier and you will not have to deal with multiple files. 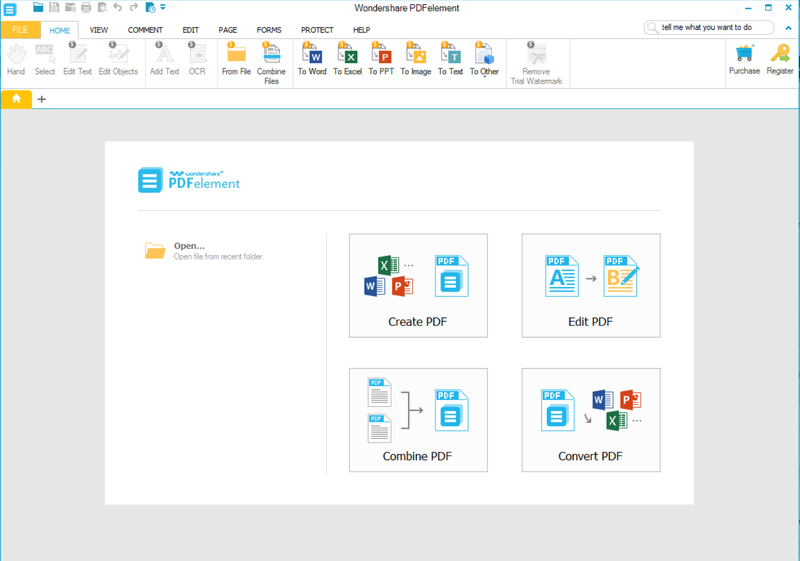 Wondershare PDFelement will combine all of your PDF files into one PDF. Just open the PDFelement and select ‘Combine PDF‘. Now select all the PDF documents and then click on Next. You will then have an output PDF file containing all the slides from all the PDFs that you have selected and this conversion happens very quickly. For me merging 8 PDFs took not more than 5 seconds to complete and open. Superb quick! 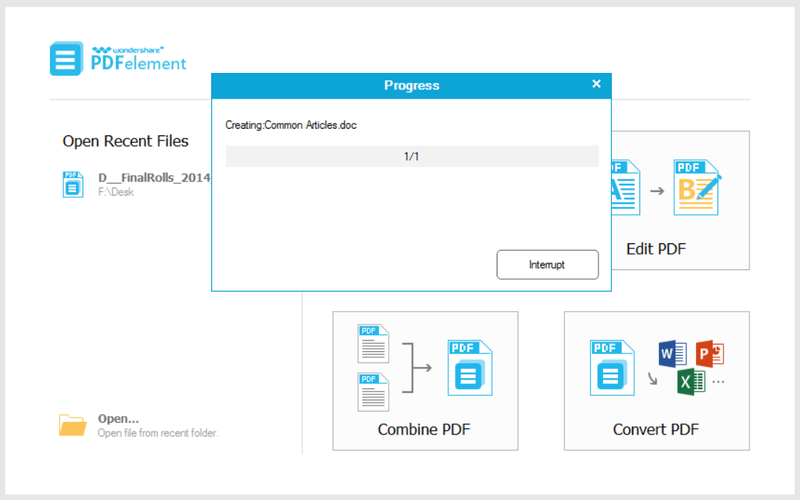 PDFelement allows you to convert PDF file to other formats very quickly and effectively. I remember those college days when I had a part-time job of converting PDF documents to Word format and I used doing it manually. 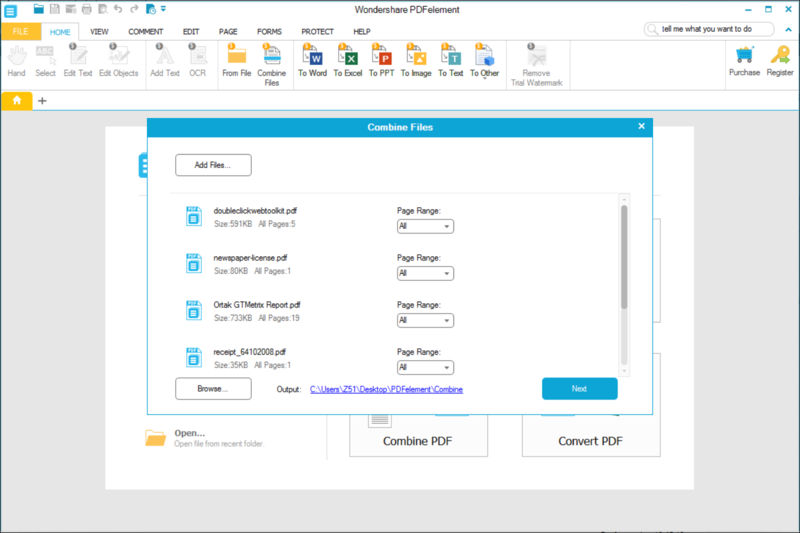 But with PDFelement you will no longer have to do this as a project as this conversion is right now happens automatically using this wonderful software by Wondershare. 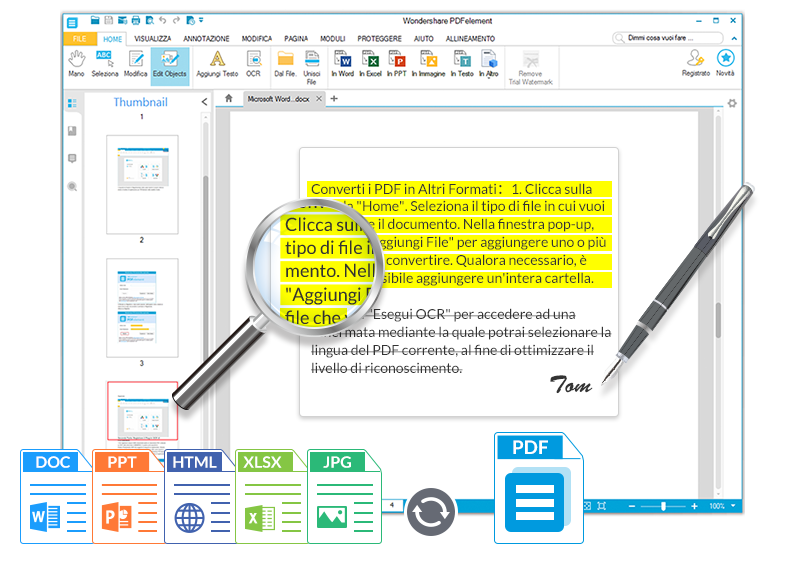 You can convert PDF documents to DOC, DOCX, XLS, XLSX, PNG, JPG, PPT and PPTX formats. Digital Signature comes as the part of PDF encryption, but many just have requirement to add digital signature to the PDF. 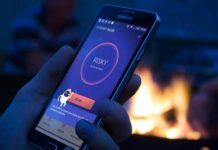 Using PDFelement you can add a digital signature on the go. Just open the document, go to Protect from menu and then select Sign Document. That’s it. You can even enter the hand-written signature as well. You can even do this on their iOS app as well. 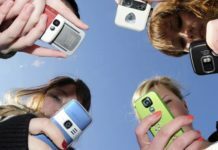 Do you need to edit the document after scanning and before sending it to someone? 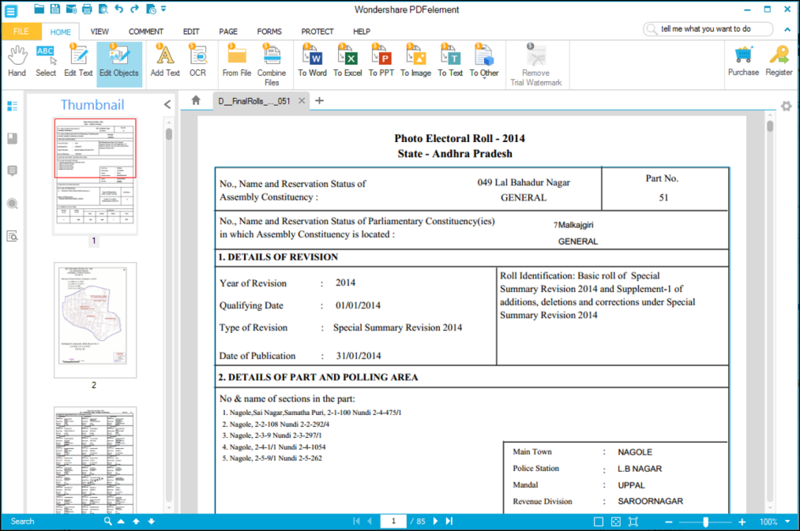 The scanned document comes in the image format and PDFelement makes it easy to get text from image [scanned document] and edit it as per your requirement. The OCR here supports more than 20 international languages including Spanish and French. Insert & Replace Pages in the PDF : Re-arranging PDF pages or even replacing them with a new one is quite easy. Custom PDF Headers & Footers : You can add customized headers and footers to your existing PDF file. Optimize PDF : You can optimize PDF file by reducing the overall file size without any loss to quality. Just go to File > Optimize. Installing the PDFElement is very easy and straight-forward. I just straightaway headed to Wondershare PDFelement webpage to download Windows PC copy. If you own a Mac then, hit the ‘Go to Mac‘ and download it from there. Once the download is done, you will have to install the program which can be done within minutes. Now I am ready to take full control of my PDFs with it. Just click on Start Now. Now I am ready to make use of all the features that are listed above. I was quite surprised to see no junkware been included. For many people too many options might confusing. PDFelement here maintains simple and straight-forward user interface which is easy to understand. 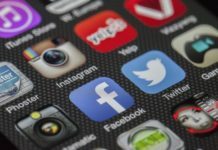 On top there are primary functions to directly view, edit, protect and add forms and just below it there are all other options relating to the current document. Highlights all the shortcuts, when you Press ALT button [Windows only]. The standard version of PDFelement [without OCR] costs $69.95 one-time fee for 1 PC. The one with OCR, known as the PDFelement Professional costs $89.95. Both include free customer support and free annual updates. You can even purchase volume license if you are looking for a comprehensive PDF solution for your staff members. Moneyback has become a standard industrial payment term. Wondershare PDFelement for iOS on App Store costs $4.99. If you deal with a lot of PDF files all the day in your office, then PDFelement is the perfect partner for your needs. Combined with OCR plugin, it’s a great, reliable tool at a reasonable price.